~ Allene Symons ($25) – Allene Symons published work includes books, reviews, columns, and magazine articles as a staff editor and freelance writer covering topics from travel to business, health care to the arts. She’s affiliated with the California Writers Club, National Book Critics Circle, Authors Guild, PEN West and Southern California Independent Booksellers Association. 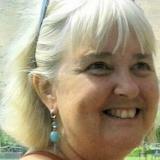 Symons is an instructor for Communications / Media Studies at Santa Ana College. Radio and television interviews include on Today Show (1997), Regis Philbin (1988), CNN, three Los Angeles programs, and a dozen national and regional radio programs, and twice as a spokesperson for Publishers Weekly. ~ Stephanie Martindale ($25) – Stephanie Martindale is a typographer at the Book Publishers Network. The programs she uses are InDesign CS5, Acrobat Professional, and PrintShop Pro. Her work has been extensive, laying out hundreds of books since 2002 (including Forgotten Hollywood Forgotten History and Son of Forgotten Hollywood Forgotten History). Martindale previously worked for Epicenter Press, John Broadbanks Publishing, Great Little Book Publishing, SMB Nation, and Forward Books. I appreciate your official future consideration… And, THANKS SO MUCH to our valued initial contributors and supporters (above). This entry was posted on Friday, January 11th, 2013 at 12:01 am	and is filed under Blog by Manny Pacheco. You can follow any comments to this post through the RSS 2.0 feed. Responses are currently closed, but you can trackback from your own site.